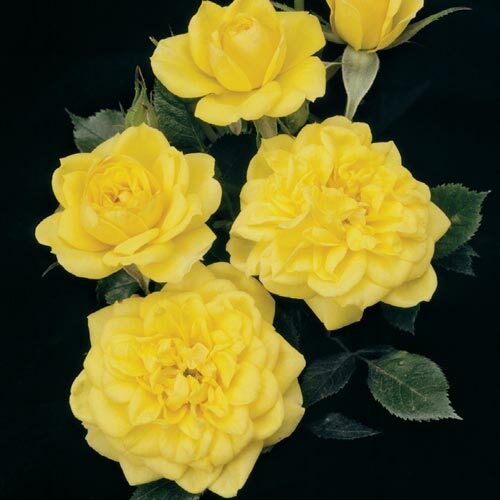 Lemon Drop Miniature Rose | Gurney's Seed & Nursery Co. This sweet piece of lemony eye-candy looks much like its parent, Gingerbread Man—loads of old-fashioned formed flowers, lots of bright green clean leaves, long-lasting color, good vigor and attractive habit. The clear lemon yellow blossoms come in showy clusters. U.S. Patent No. 14555. FoliageGlossy, green, pointed, ovoid foliage. Flower FormFree and ruffled in clusters. Fragrant. CommentsRadiant, sunny yellow blooms are so lushly double, they resemble miniature peonies. Flowers age to a delicious lemon-meringue color, showcased by bright green, glossy foliage. A light, fruity fragrance is a delightful bonus, so try planting this gem in containers for cheery color and refreshing perfume on decks and patios. 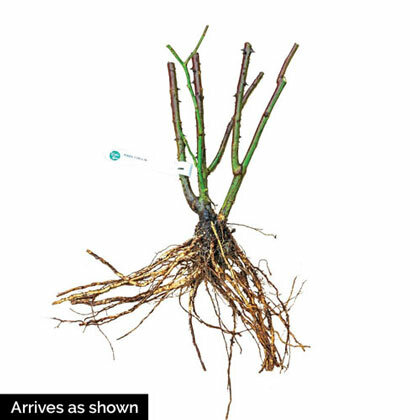 Makes a great planting for the front of the border, or use them at the bases of taller-growing roses for a stunning two-level display. The sturdy, upright plant produces in continuous waves -heavy clusters of old-fashioned blooms all season long, from Spring right through the first frost. Rosa 'WEKyegi' PP14555. Cannot ship to AK,GU,HI,PR. Botanical NameRosa 'WEKyegi' (Lemon Drops) U.S. Patent No. 14555. DepthPlant at the same level as the soil so the crown of the plant is even with the soil level. Do not bury the crown. Full sun is best for quicker flowering and higher quality plants.